With Liverpool’s defence still too weak to keep the goals out, fans are at the end of their tether. After the transfer and retirement of two key defenders, the woes of the current back four seem even more prominent. Shortly after the 2017/18 season kicked off, former Liverpool defender Kolo Toure announced his retirement from professional football. Fans and former teammates pooled together to wish the Ivorian well in his future endeavours. Although Toure hasn’t been a Liverpool player for over a year now, it hit home for most fans when he announced his official retirement from the sport. His decision to hang up his boots teamed up with the permanent transfer of Mamadou Sakho has proved too much for Kopites to bear. It never does a football fan well to dwell on the past. But for Liverpool supporters, the past is a much better place to be than where they are currently. So far this season, the Reds have only managed to keep two clean sheets across all competitions. The most recent fixtures feature a 2-2 draw against Sevilla in the Champions League and a shameful 5-0 loss to Manchester City. Disgustingly, both Manchester teams are ahead of Liverpool and look to be on a hot winning streak. I can barely stomach seeing them occupy the top of the table. Jurgen Klopp’s side are lacking a lot of things – structure and motivation are two of the biggest. When Toure and Sakho played, they put maximum effort into their performances. Despite Kolo Toure being 34 when he left Anfield, he continued to perform as well as he always did, right until the end. At the moment, fans are cursing the club for letting Sakho leave. The Frenchman loved playing for the club and even deemed himself ‘a Scouser’. He was never afraid to play a little rough either, which is what the current team seem to avoid as much as possible. Liverpool’s entire gameplay would be turned on its head if even just one of the departed CBs returned. That’s how heavily they both impacted the game and how much the current defence does not. Jurgen Klopp doesn’t seem to know what he wants out of his defenders and defensive midfielders. The most recent games have seen the lineup juggled about with no real impact. Dejan Lovren been consistently abysmal; however the lack of options in the team sees the Croatian in the starting eleven almost every match. Klopp’s decision not to pursue another central defender was an extremely foolish one. After Southampton made it clear they would not budge on the Virgil van Dijk deal, the Reds gaffer should have begun to shop elsewhere. But Klopp’s determination is both his best and worst quality, seeing Liverpool enter yet another season with a less than average defence. The German manager’s recent statement of being ‘sick of conceding goals’ is hilarious because of how much irony it holds. The only defender Klopp recruited during the recent transfer window was former Hull left-back Andy Robertson, who has been repeatedly left out of the first team. It’s hardly a secret that Jurgen Klopp and Mamadou Sakho encountered some, ahem, blips in their relationship. The manager made it crystal clear that he had absolutely no plans for the French CB in the first team. Reports claimed Sakho’s attitude was less than ideal at times – showing up late for training and flights, for example. But whilst LFC were being pummelled by almost every team in the Premier League, Klopp still wouldn’t budge on his decision. After Sakho was loaned out to Crystal Palace last season, he made quite the impact at the London club. 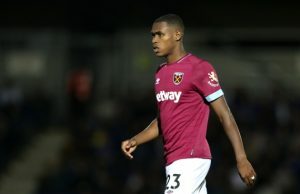 ‘The Sakho Effect’ had fans and the media in uproar; the 27-year-old was the Eagles’ best defender during his loan spell. The Frenchman impressed thousands, but the one person he wanted to impress most didn’t care. Even after being recalled to Merseyside, Klopp continued to finalise the deal with Crystal Palace to make the move permanent. With Joel Matip playing uncharacteristically poor and Dejan Lovren turning the entire LFC fanbase against him, the squad needed a defender like Sakho. But the boss kept his stiff upper lip firm. It’s still a mystery what exactly toppled the relationship between the two men into turmoil. For Klopp to turn on him so much, Sakho could’ve only done something unforgivable to the gaffer. I’ll leave you to conjure your own ideas up, Reds. Liverpool haven’t galloped out of the starting gate this season – but they aren’t as woeful as Everton, at least. The superior Merseyside club has a lot of thinking and planning to do if they want to compete against the two Manchester sides and Tottenham. If I had it my way, Lovren would be banished to the furthest desolate piece of land I could find. The ex-Southampton player no longer has a place in the club. For a professional football player being paid thousands upon thousands each week, he’s an absolute embarrassment. His consistent howlers make him look like he’s gotten lost on the way to the ‘Ice Skating for Beginners’ class. Emre Can plays great when pushed into a deeper role on the pitch and I would rather the German stallion take the place of Liability Lovren. Alberto Moreno is another puzzling player; great going forward but doesn’t perform under his actual job description. Moreno would be a great winger, but with Mohammed Salah and Sadio Mané to compete against, he has very little to offer. Like an annoying piece of gum in a child’s hair, the Spaniard has somehow managed to cling onto the team and avoid being loaned out or sold. God only knows how. Especially with Robertson being pushed aside in favour of a player who doesn’t seem to know which goal is which half the time. It’s about time to draw the curtain on Moreno’s era with Liverpool FC. Dejan Lovren has undoubtedly overstayed his welcome, too. But with the Reds’ current shambolic defence, can they afford to even put the rubbish out? The answer is unfortunately not. 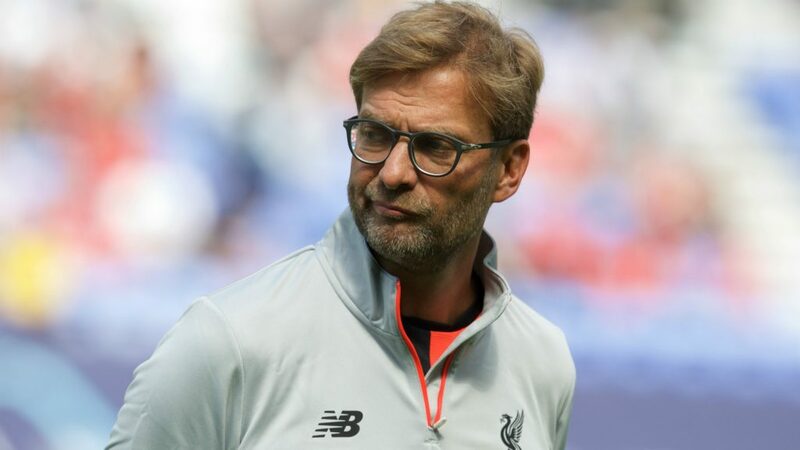 With three long months ahead to play through before the next transfer window, Liverpool and Klopp need to pull something spectacular out of the already worn out bag. It’s going to be a very long few months of praying for a miracle before every game. LFC are a huge club with a fantastic legacy to play for. But when players don’t carry the passion needed to excel at such a special club as Liverpool, it puts a dampener on the entire image. The love is fading from the team and it needs to be reignited, pronto.